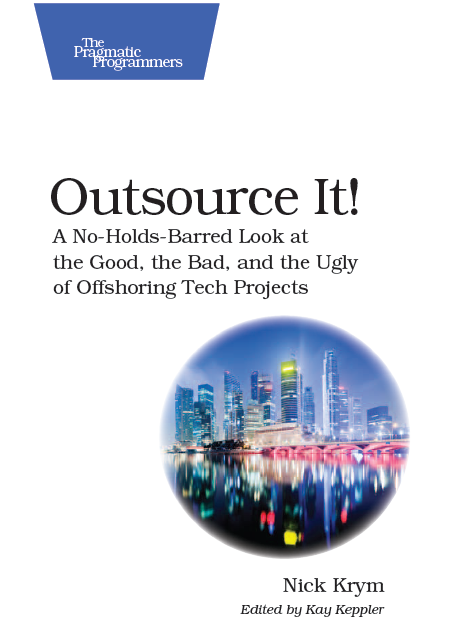 I had several situations when a developer brought to me by my offshore vendor for an on-site assignment approached me for a full time position. In every case that was a highly respected developer with in-depth knowledge of our products, etc. close to the end of their on-site assignment. In every case the developer had alternative offers and was not planning on going back to his original employer. I’ve seen some tricky situations when top-notch employees of companies who did not make through selection project came to us looking for full time employment when the deal did not happen. A few times I had to deal with the situation when a new vendor brings me resumes of the employees from the vendor that has been replaced. There are many other scenarios with the common issue – you are interested in hiring an employee but can not do it without breaking NSA. During the term of this Agreement and for a period of two (2) years after the later of the date of this Agreement or the completion of any SOW under this Agreement, each party agrees not to, directly or indirectly, initiate employment discussions with, hire or use in any way the services of an employee or contractor of the other Party. The parties specifically agree that a material, uncured breach of this provision will entitle the non-breaching Party to agreed upon liquidated damages in the amount of two hundred thousand dollars $200,000 per occurrence with a maximum aggregate limitation of $3,000,000. Subject to the time limitation set forth in the first sentence of this paragraph 11, this provision applies to employees and contractors who are no longer employed by the Vendor or by the Client but were so employed at any time during the term of this Agreement. You may consider he figures to be over the top, I did. However, the truth of the matter is that this particular company wants to do whatever it takes to prevent brain drain whether it’s instigated by the company or by the employee. And that’s deserves some respect and twice as much serious attention. However, most of the time you do not find the NSA / NS clause worded with such might. Vendors understand well that in many cases they can’t do much about losing a particular employee, and losing him/her to a customer may play in very positive manner towards improving customer satisfaction / retaining the customer, etc. Deal with NSA with consideration that you might be facing it’s bitter end. Stay legal – do not solicit vendor’s employees, even they seem a prefect match, do not even give any clues or signs. If the associate comes to you that will put you in the best negotiation position with the vendor and with associate. When facing the “situation” stay legal in all aspects and consider the hierarchy of importance: yourself, the vendor, the associate. There is almost always a way to negotiate the situation with your vendor in a win-win manner. Consider “win-win or no deal” approach. You may not always get what you want, in particular there will be situations that you just won’t be able to get a particular employee. Let it be. During the term of this Operating Agreement, no Member may hire, contract, or otherwise engage, directly or indirectly, a current or former employee of ABC LLC to work in any business or activity in competition with the Business of ABC LLC. A member may hire a former employee of ABC LLC in any business, if such former employee has not been employed by ABC LLC for more than one year. In the last sentence, does what is considered hiring? And what is not? Would the member be allowed to contract with a former emloyee or accept probono work?